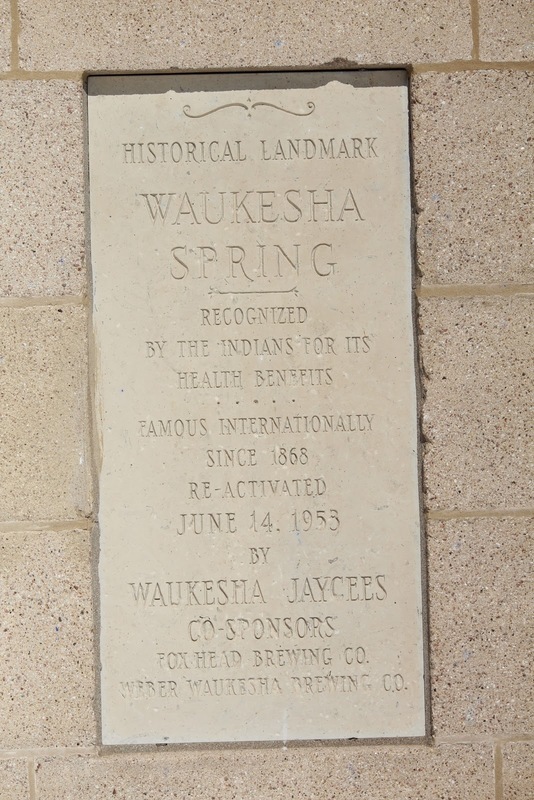 The Waukesha Spring (aka Silurian Spring) marker is located at Waukesha Spring Park at the end of Post Office Circle, north of its intersection with East Broadway Street, Waukesha, Wisconsin 53186. 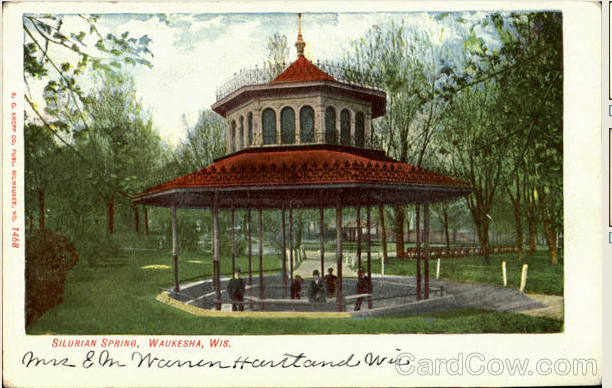 NOTE: Post Office Circle deadends at the entrance to Waukesha Spring Park. 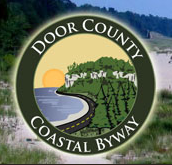 There is plenty of parking behind the post office (see photos below) to access the park and the marker. See also, Silurian Spring, also at this location. The marker is imbedded into the wall of the building. The Silurian Spring marker is visible to the left. 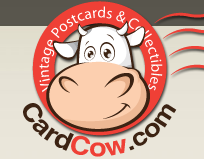 Screenshot of vintage portcard provided by CardCow.com. It's a short walk from the parking lot to the spring. There is plenty of parking behind the post office building.